Sorry, we are so late with the screencaptures, but today is one of those days when we meet up. Anyway we added the screencapture of The Expanse 3×09 into the gallery. This week all the reviews we read are mostly recap. This is the only one with an actual comment about the character at least. Anna! Anna hasn’t come all the way to the ring only to wimp out and go home. she lurks around the Thomas Prince trying to come up with a way to stay, and then latches onto The Expanse’s version of Margaery Tyrell, Miss Fagin. Miss Fagin, who describes herself as an aging socialite, has blackmailed the captain into letting her stay. (Hey, she has to find some way to stay relevant and fascinating at dinner parties.) Anna makes a play to stay with her, and Fagin initially responds by asking her if she’s married. Anna allows herself to be teased, and then goes FULL EARNEST again, saying that it’s the only miracle that’s happened in her lifetime, and she thinks turning her back on it would be wrong. Fagin translates her spirituality into the idea that Anna is being selfish (which is fine) because she wants to be part of something amazing. Either way, the important thing is, Anna’s staying! 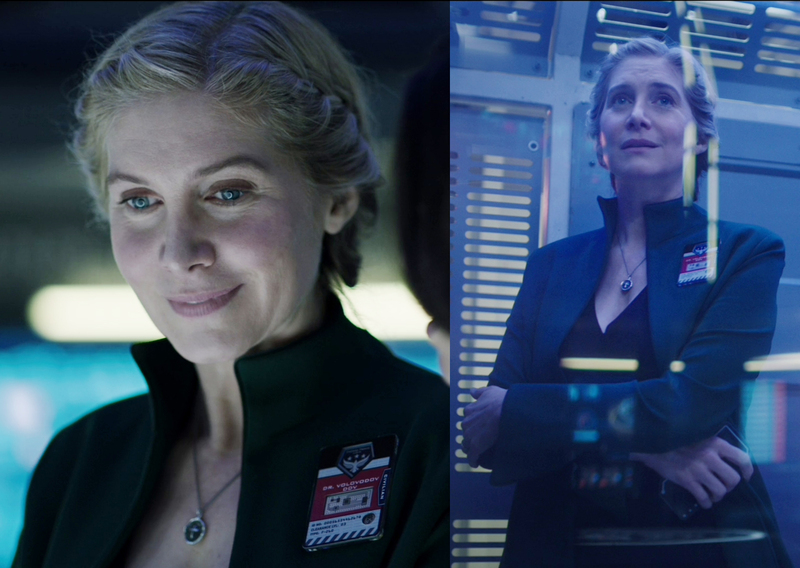 As we said the other day there were so many multi-layered emotions conveyed in Anna by that beautiful performances Elizabeth was able to pull off in The Expanse 3×09. It’s the first time that we see Anna in seek of something only for herself and not for the benefit of everybody else. This makes the character more interesting also because her decision is in conflict with the fact that she’s choosing a dangerous path, a route far away from her family and not only physically speaking. That doesn’t mean she doesn’t love her child or wife, it only means that Anna is not a saint or perfect, she’s human. They don’t say anything about Elizabeth, but at least they talk about her character. It’s about Anna, but yes not using Elizabeth is just a waste of resources. We really hope to get more and more of her in the last 4 episodes. 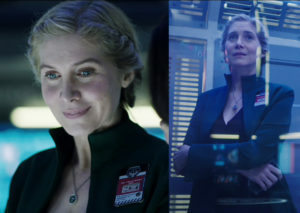 The fact that Anna finds a way to stay on the Prince even after Avasarala orders the civilian crew to be removed (in response to the bombing) would be a twist only if she was a new character being played by an unfamiliar actress—we already know she’s important, and booting her off so early in the storyline would be a waste of resources. It was necessary that we get a little more information on Melba, given how much she’s changed the course of the story and that she’s still an active player in events, and forcing Anna to choose to stick around in the face of common sense helps to make her a little more active. The official site added these 2 Elizabeth’s photos. Beautiful smile in the first one and so gorgeous in the second pic. Look at Anna, so happy she found a way to stay. Sparkling!